Cozy Home situated nicely on huge Fully fenced lot, complete with electronic gated entry. Detached 24' X 24' shop /garage with a carport area for boat or toys. Extended driveway area & RV parking, The property includes 2 tax parcels which total over 1/2 ACRE, great view of the Valley & close in! New siding, roof, covered deck & fence, Plus a custom dog kennel & Run. Cute & open kitchen w/eating area, Pellet stove in LR can heat the entire house! Too Many features to list, so Hurry on this one! Lot Size: 0.57 Acres / 24900 Sq. Ft.
SchoolsClick map icons below to view information for schools near 315 SE 2nd St South Prairie, WA 98385. South Prairie Real Estate at 315 Se 2nd St South Prairie, WA 98385. Description: The real estate listing at 315 Se 2nd St South Prairie, WA 98385 with the MLS# 1408810 has been on the South Prairie market for 68 days. This property located in the South Prairie subdivision is currently listed for $309,000. 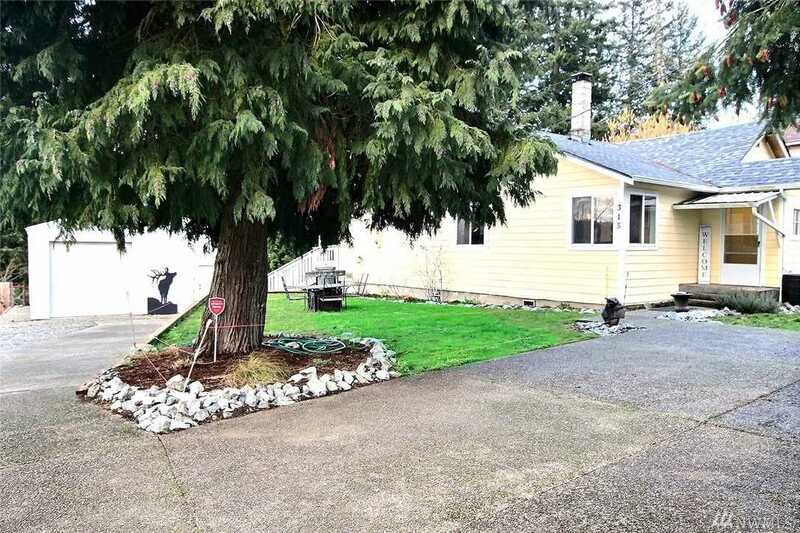 You are currently viewing the property details of the NWMLS listing at 315 Se 2nd St South Prairie, WA 98385, which features 3 bedrooms and 2 bathrooms, and has approximately 1216 sq.ft. of living area.